Same thing happens with plaid shirts on TV. 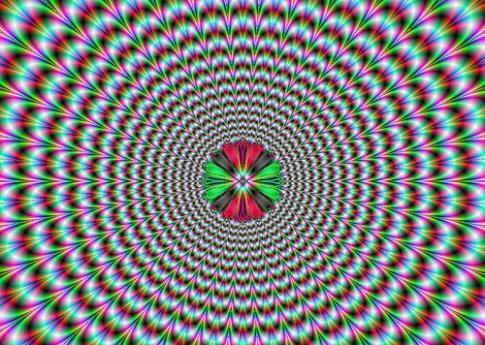 dude it freaken starts moving that is totally rad!!!!! i stared at it for like 4 or 5 min and found a bunch of things that moved when u looked at different places lalalala lol! it looks like it beating, soo cool!!!! These mess up you eyes so badly!!!!!! this one is ma favourite it's so awesome. WOW! How did you guys make this things? wow this is a great site!!!! !